Travel to South Africa to discover the treasures that nature has given to the Mother Continent. 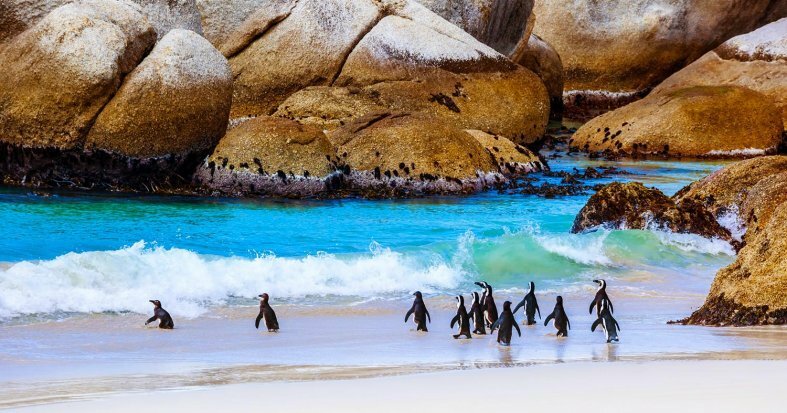 Explore the wildlife of the Kruger National Park and stroll through historic Johannesburg and cosmopolitan Cape Town where you can visit the Cape of Good Hope. Admire how the majestic Victoria Falls thunder and relax on the magnificent beaches of beautiful Mauritius on an All-Inclusive basis. 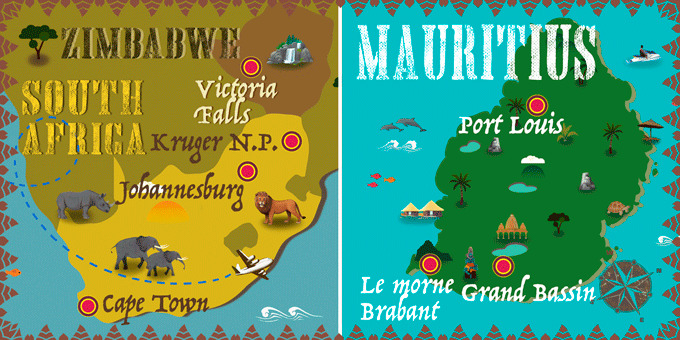 International flights UK - Johannesburg & Mauritius - UK. 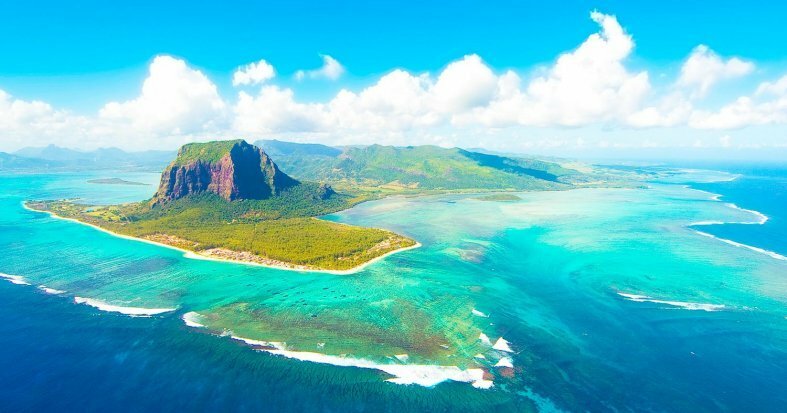 13 Breakfasts, 1 Lunch, 2 Dinners & All-Inclusive in Mauritius. Arrival at UK departure airport ready to check in for overnight flight to Johannesburg. Night on board. Arrive in Johannesburg and transfer to the hotel. Begin exploring this lively city at your leisure. Overnight stay in Johannesburg. Begin the day early on Safari in the southern area of South Africa's most famous game reserves with breakfast on the go. The game viewing area is known as the 'Southern Circle' and is renowned for its rhinos and lions. Lunch. 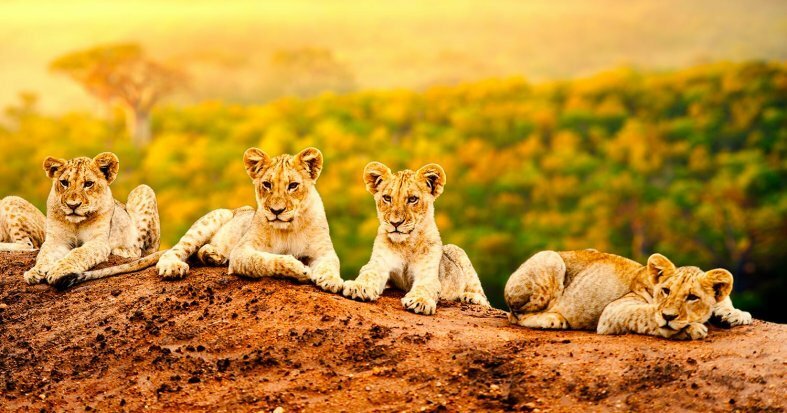 Enjoy an afternoon game drive in Kruger National Park and discover the amazing diversity of animals in one of the world's largest game reserves. Remember to bring comfortable shoes, warm and rainproof jackets, sunhat and protection and cameras to capture the beautiful wildlife. Dinner and overnight stay. Breakfast at the hotel. Transfer to the airport for a flight back to Cape Town. On arrival, transfer to the hotel. Spend the rest of the day at your leisure, exploring the many neighbourhoods of the city. Overnight in Cape Town. Breakfast at the hotel. 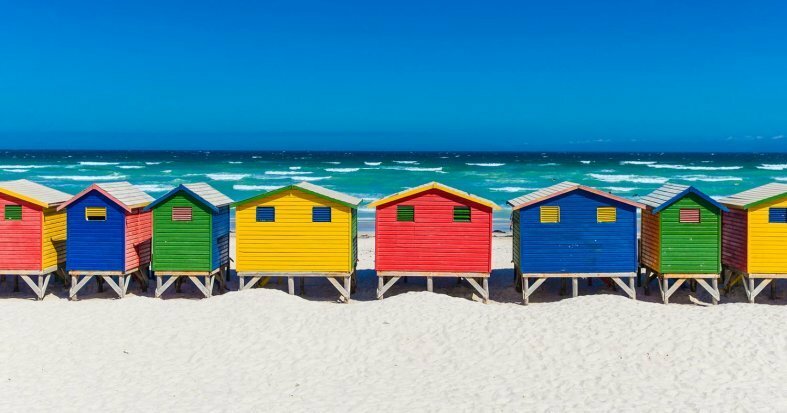 Embark on a full day tour to the Cape of Good Hope and Cape Peninsula: a drive that has been described as one of the most spectacular drives in the world. 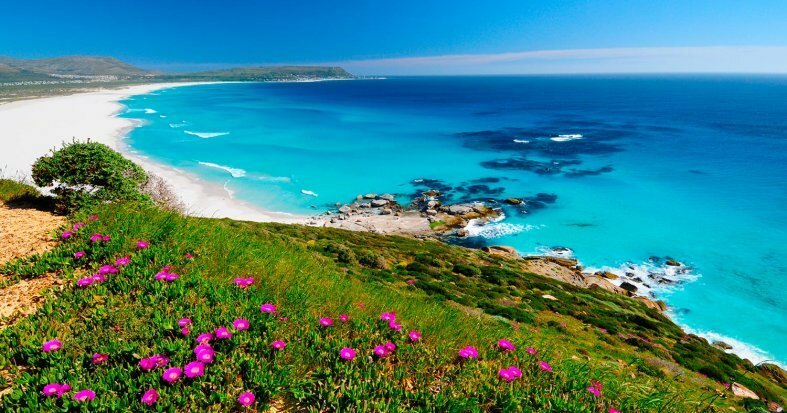 Pass by Houts Bay, Noordhoek Beach, Boulders Penguin Colony and the Cape Point Nature Reserve, to mention but a few. At the Penguin Colony be enchanted by these charming creatures and enjoy a stop to watch the families of penguins interact with each other. Marvel at the biodiversity and the lush landscapes the surround the area and enjoy entrance into Kirstenbosch National Botanical Gardens. 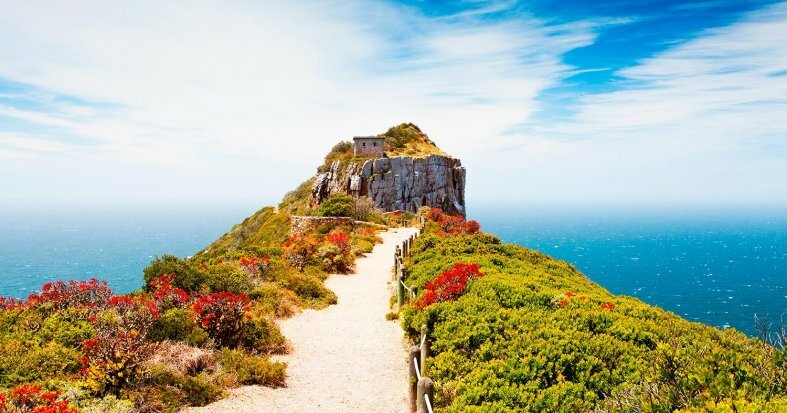 At the Cape of Good Hope, you are at one of the most southerly points of this beautiful continent, where you can gaze out at the meeting point of the India and Atlantic Oceans and appreciate the historical significance of this Natural World Heritage site. Return to Cape Town for an overnight stay. 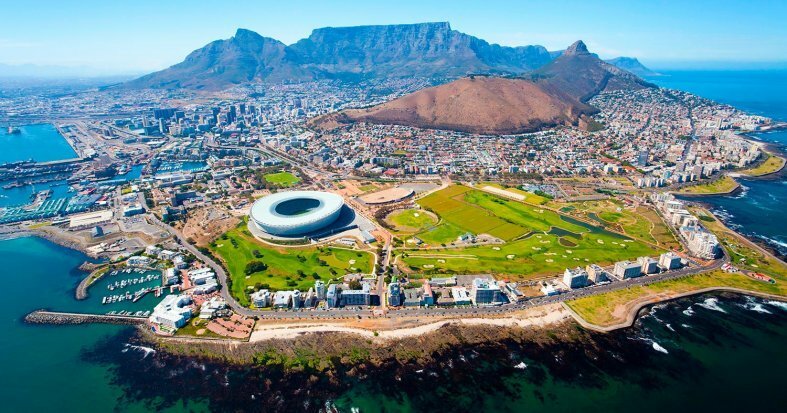 * Excursion Hike to Table Mountain: Depart in the morning to hike up to the top of the iconic table mountain, with a tour guide to inform you about the city and the mountain itself. The hike is around 6km long and should take around 3.5 hours. Price per person: £66. Breakfast at the hotel. Take the chance to explore this wonderful port city, which not only offers a plethora of culinary options, that reflect the cities diversity, but was also crowned World Design Capital in 2014. We recommend taking the optional Safari Day excursion*. Overnight stay in Cape Town. * Optional Safari Day excursion: Set off into the wilderness for a 2-hour game drive in open-air 4x4 with welcome drinks on arrival and in the afternoon enjoy lunch under the open trees or in a boma style restaurant, depending on the weather. Return to Cape Town via the Huguenot Tunnel. Price per person: £220. Breakfast at the hotel. Enjoy a free day by discovering the city further. We recommend taking the optional Cape Winelands excursion* or the optional excursion Shark Cage Diving*. Overnight stay in Cape Town. * Optional excursion in the Cape Winelands: Set off into the lush Winelands outside of Cape Town and visit the wine producers in Stellenbosch for delicious wine and cheese tasting and a cellar tour. Also, explore Dorp Street and De Braak. Price per person: £60. * Optional excursion Shark Cage Diving: Get up close to these amazing creatures on an exciting Shark Cage Diving excursion. Take a boat to the areas in which the Great White Sharks are most abundant and witness them in the wild from the safety of a cage. Price per person: £177. IMPORTANT: It will only be possible doing one of these excursions. Breakfast at the hotel. Transfer to the airport to board a flight to Victoria Falls. 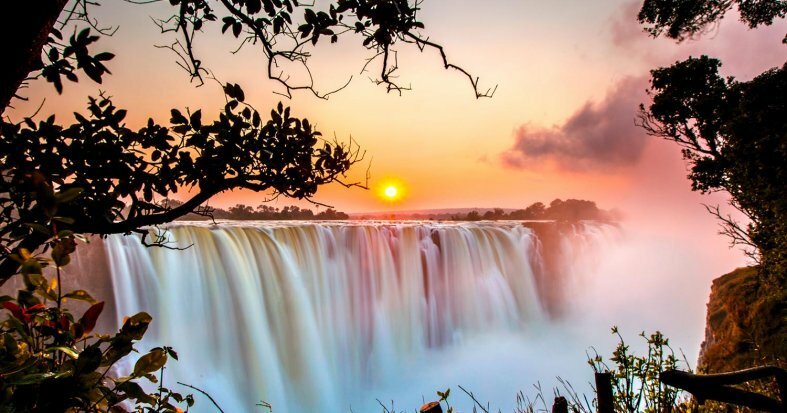 Named after Queen Victoria of England by the explorer David Livingstone, these impressive waterfalls are one of the gifts that nature has given to southern Africa. Arrive and be met by our representative to transfer to Shearwater Explorer's Village. We recommend an optional Sunset Cruise on the Zambezi River. 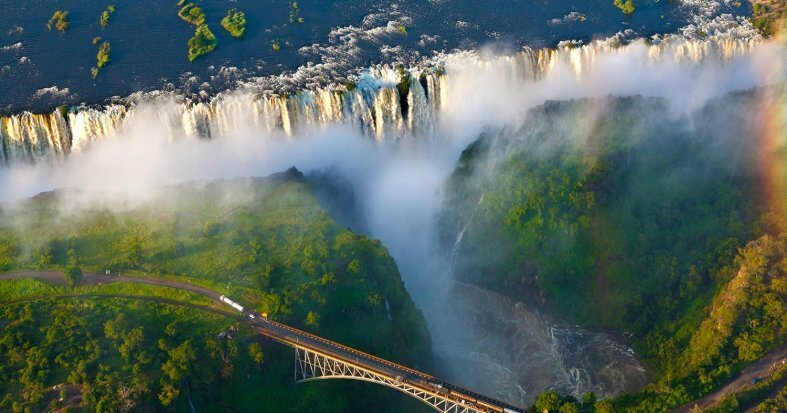 * Overnight stay in Victoria Falls. * Optional Sunset Cruise on the Zambezi River: Transfer to the jetty for a Sunset Cruise on the Zambezi River. Includes drinks and snacks on board. Price per person: £51. * Optional full-day excursion to the Chobe National Park: Embark on a safari game drive in the Chobe National Park, known for its large herds of elephants and wandering prides of lions. Cruise along the Chobe River, and spot the local game before enjoying lunch at a safari lodge. Take in the spectacular landscapes and wildlife before returning to Zimbabwe for an overnight stay. You will need to take your passport with you on this trip to cross the border. Price per person: £176. Breakfast at the hotel. Transfer to the airport to board a flight to Johannesburg. Free day to relax and enjoy the comforts of the hotel and the vibrant city. The shopping options in this city are the best in South Africa and there is a wide variety of restaurants that satisfy all tastes. Overnight stay in Johannesburg. Breakfast at the hotel. Transfer to the airport to board a flight to Mauritius. Arrive and transfer to the hotel. 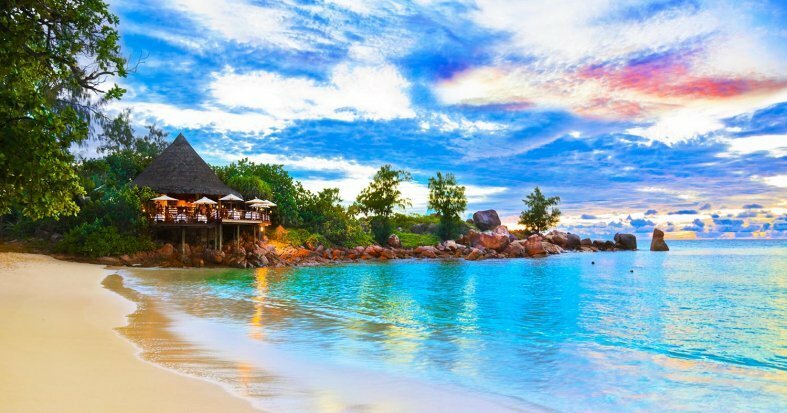 This island paradise is famous for its crystalline waters, white sands, exotic vegetation and idyllic corners. Accommodation in Mauritius on a All-Inclusive basis. All-Inclusive. Enjoy your free day. 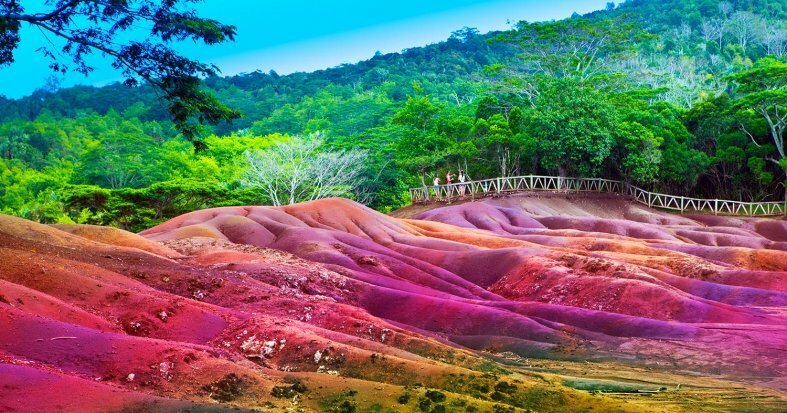 We recommend visiting the Chamarel Waterfall, the most beautiful waterfall on the island. Its beautiful fall, about 150 meters high, is surrounded by lush vegetation and a great variety of tropical plants. Alternatively, enjoy an optional half day city tour of fascinating Port Louis. * Overnight in Mauritius. * Optional half-day city tour of Port Louis: visit magnificent Port Louis to uncover the vibrant history and multiculturalism of Mauritius. Notice the different temples, mosques and churches as you tour the city and visit the main square, Plaza d'Armes, the Government House and the Municipal Theatre. Visit the beautiful waterfront and enjoy the French colonial architecture of this colourful city. Price per person: £63. All-Inclusive. Spend the day at your leisure, soaking up the sun or perhaps treating yourself to a spa treatment at the hotel. 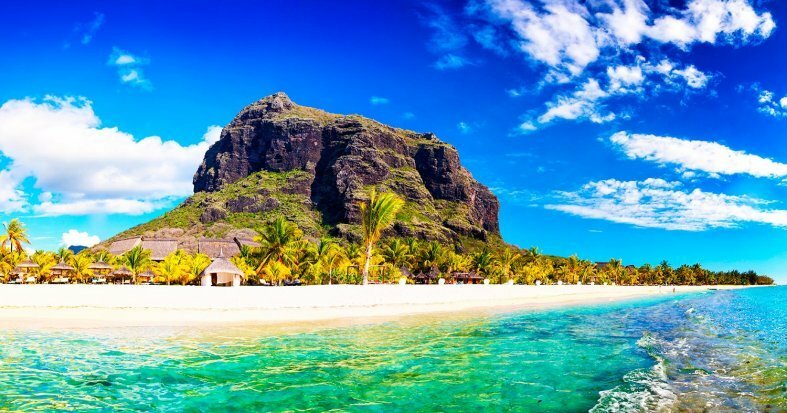 We recommend an optional tour of Port Louis & the North of the Island*. Overnight stay. * Optional Full Day Port Louis & North tour: Head to Port Louis and enjoy the lively waterfront, the main craft market and Fort Adelaide, built by the British in 1835. Next, visit an old Sugar Mill for exciting rum tasting and learn about the history of trade on the island. Stop at the spectacular botanical gardens of Pamplemousses, where you are blown away by nature's splendour. The gardens are home to giant water lilies, as big as three metres wide. Enjoy the afternoon in the beautiful gardens before returning to the hotel. Price per person: £97. All-Inclusive. We suggest visiting a traditional market to get a closer look at Mauritian culture. The best known are the markets of Port Louis or Quatre Bornes, where you can find a myriad of traditional dishes, vibrant coloured textiles and spices. Alternatively, enjoy an optional tour of Mystic South. * Overnight in Mauritius. 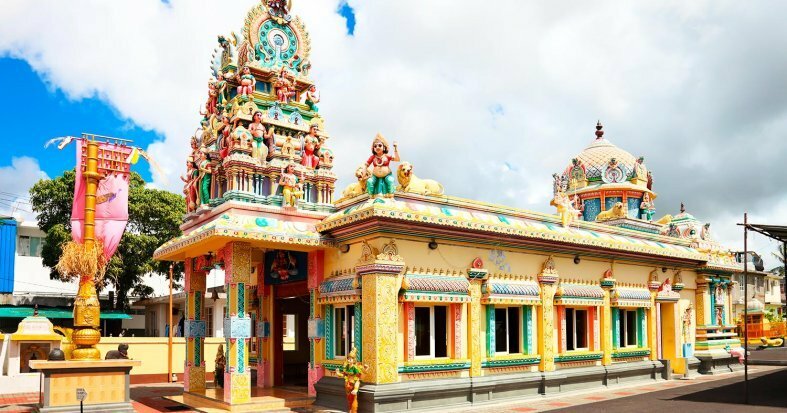 * Optional Mystic South Tour: Visit the central town of Curepipe, home to luxurious architecture and a busy commercial hub, to see a different side of Mauritian life. Next, head to the mighty Trou-aux Cerfs, a dormant volcanic crater, situated high above the city. Head into the mountains to visit the Ganga Talao lake, secluded in the lush heart of the island and considered a sacred Hindu site. 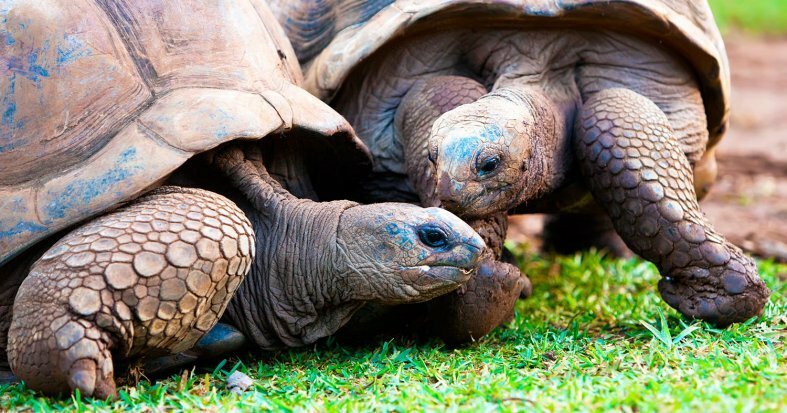 Learn about its religious significance before ending the day at the La Vanille Crocodile Park, set in lush greenery and home to crocodiles, giant tortoises and beautiful butterflies and flora. Price per person: £103. All-Inclusive. Enjoy your free day. We suggest visiting the Grand Bassin, an impressive lake located in a crater in the south of the island. 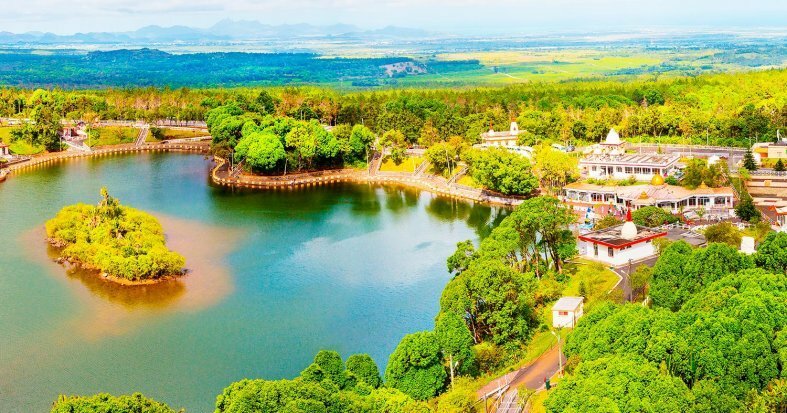 It is the most important sacred place of worship for practitioners of the Hindu religion in Mauritius where you can enjoy the whole essence of Indian culture and customs. Overnight in Mauritius. All-Inclusive. 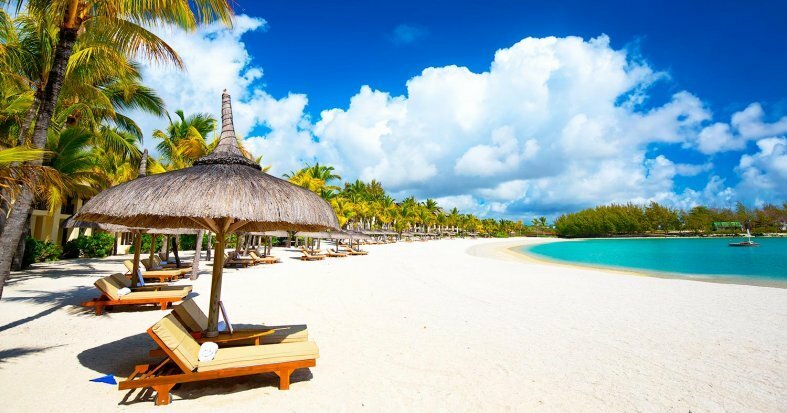 Relax in Mauritius. We recommend going to Deer Island, a paradise of waterfalls, white sand and crystalline waters that form small natural pools of warm turquoise. Breakfast at the hotel. Free time until the indicated time for the transfer to the airport. Embark on the flight back to the UK. Night on board. The category of hotels is not standardized across all countries in the world. For this reason, the criteria may differ depending on the destination country's own standards. Accommodation at the hotels is as indicated. In the event of any changes to accommodation, they will always be of the same, or a higher category.